Optical defibrillation : An exciting possibility ! Cardiac arrhythmias are tackled by drugs, devices, electricity etc. How about using the light energy ? It would be sort of revolution if we could tame dangerous cardiac arrhythmias by optical energy.Exciting new developments are happening at Jhon Hopkins.The emerging field is optogenetics.Preliminary mouse and human MRI models suggest red light has a unique property to interrupt electrical signals in cardiac tissues. (Tissue level induction of light sensitive protein? ).It has been shown to revert ventricular arrhytmias. 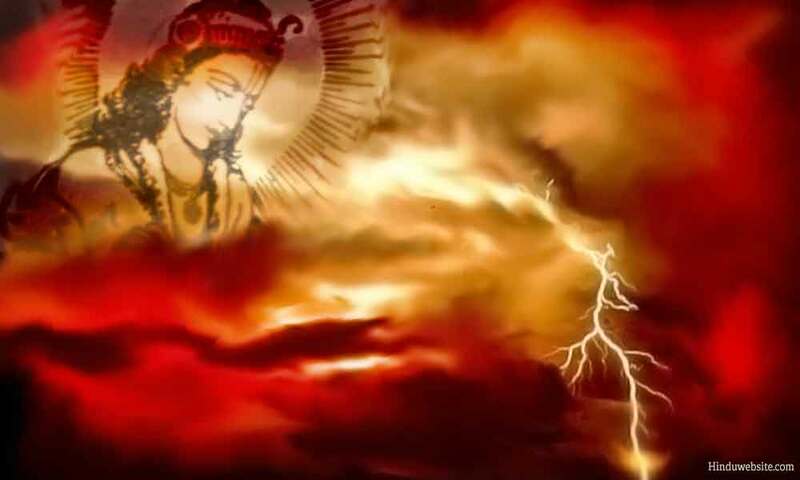 There are anecdotal reports in vedic Indian literature where super powered sky Gods equipped with the power of light (Lightening/IR rays ? ) can bring life to dead man on earth . . . Is it the same optical defibrillation we are talking about now ? 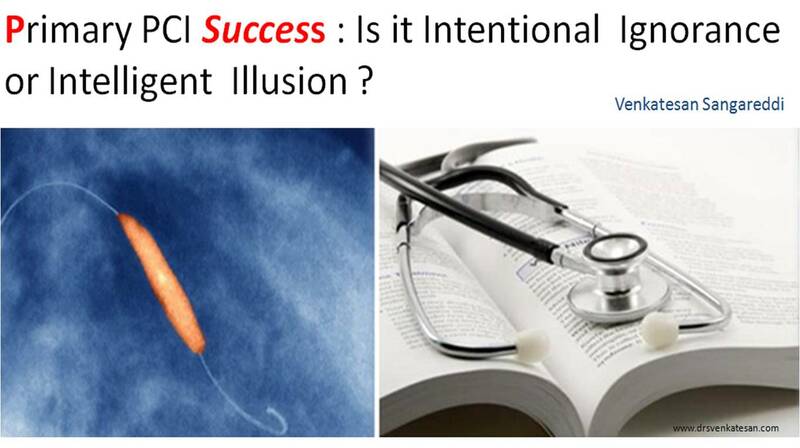 What constitutes successful Primary PCI ? A proposal to include “ LV dysfunction” as an essential criteria ! This paper was presented as a poster (Not good enough for oral ! ) in the just concluded CSI 2016 (Cardiological society of India ) Annual conference at Kochi, India. A series of breakthrough technologies in drugs , devices, techniques has revolutionised the management of STEMI in modern times.This includes various formats of heparin , antiplatelet agents thrombolytics and coronary interventions.Of all these, primary PCI is considered to be the greatest thing to happen in STEMI care. The success of primary PCI is currently defined as diameter stenosis less than 30% and TIMI 3 flow on final angiography without procedural complication. True success of reperfusion essentially lies in the salvage of myocardium and in the prevention of LV dysfunction. In real world scenario we often find a paradox , ie Inspite of successful pPCI by current definition a subset of patients suffer from significant LV dysfunction. Surprisingly, LV dysfunction has never been included in the definition of successful primary PCI . In this context we did a reversed cohort study of patients with significant LV dysfunction (<40%) following primary PCI to find out possible factors contributing to LV dysfunction.10 patients who had LV dysfunction inspite of successful primary PCI were the subjects of the study. Patients with late PCI beyond 12 hours were excluded .Echocardioraphy had been done at discharge and 2 weeks after the procedure to assess LV function. TIMI 3 flow has been documented in all patients at the time of primary PCI.6 patients had undergone pPCI within 6 hours.4 had it by 12 hours. 7 patients had a smooth , fast pPCI as described by standard protocol.Of these, 2 patients had LV dysfunction inspite of TIMI 3 flow established early.7 patients 3 had complex angioplasty with no reflow managed subsequently.One had deferred stenting after 4 days for IRA.Non IRA lesion were also tackled in two. We also confirmed there is no linear no correlation between TIMI flow and subsequent LV function .This becomes vital as time and again we are seeing PCI reports with successful TIMI 3 flow only to find weeks later thinned scarred ventricle. Time to reperfuse with anticipated and unanticipated procedural delay was also a critical factor. Meanwhile , It seems prudent , we should awake to a harsh reality of practicing coronary care with a seemingly incomplete criteria for success of pPCI . Its proposed, an acceptable levels of “LV dysfunction at discharge ” (It could be > 50 %) as an essential criteria to define the success of pPCI .Custodians of STEMI care should immediately rectify this glaring omission. This will dramatically impact the current outcome analysis of STEMI and help Improve the quality of care.